Presumptive (do we still need to say that?) Republican Presidential candidate Mitt Romney was dealt a sucker punch to the gut today by the Washington Post’s Jason Horowitz. The devastating 5600+ word article chronicles Mitt’s years at Michigan’s Cranbrook School, a boarding school that sounds stodgy and WASP-y as its name; the only thing that would make it worse is if it were the Cranbrook Academy. The campus’s elegant Christ Church had a Star of David, an Islamic crescent, and Yin and Yang sign above its wooden door. 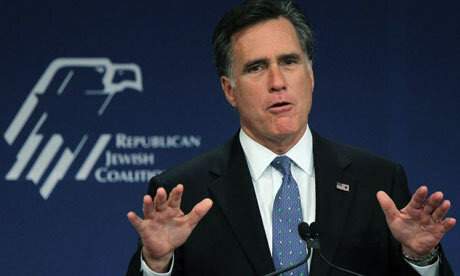 The Mormon Romney joined Jews and Protestants on Cranbrook’s Church Cabinet, which focused on community service. So you see, Romney was just fine with the Jews. As long as you weren’t gay or had a weird haircut. One more? How droll… Now, I’m guessing it was one of those jerks from Cranbrook’s “significant Jewish contingent” that added that caption (insert controlling the media joke here), so I don’t know if we can hang it on Romney’s neck per se. The entire Washington Post article tries to show you the world that gave us Mitt Romney, so now we know. Look, none of us wants to be subjected to this kind of scrutiny for the dumbest, most pointless years of our lives. Then again, none of us attacked our classmates with scissors and then ran for president forty years later. Once again, the “hip” New York, San Francisco, LA, Jewish, academic elite have made me embarrassed to have you call yourselves Jews. Whether or not I vote for Romney or Obama based on what they did in High School is absurd. Why don’t you take some time to vet Obama after the fact, in addition to the Socialist, Nanny-Statist media’s hyper-scrutiny of Romney. Why is it that my Metro-Heebs are so worried about the people and groups that have done and will do the most damage to us, as Jews, regardless of how you practice, simply because we exist? Haven’t you learned a thing from history? Suppose not. Barack wrote a little memoir called “Dreams from My Father,” in which he describes how he mistreated another black student. Obama admitted that years ago, and Fox News jumped right on that story after the Romney thing hit, so I think you’re covered. @Elliot: “liberal d-bags”, “academic elite”, “Nanny-Statist” – you’re just a bundle of Right Wing cliches, aren’t you?